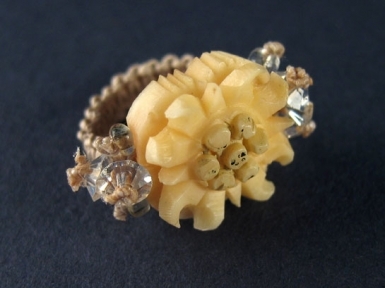 Handmade ring comprising carved bone edelweiss decoration and glass beads on woven stretchy linen band. One size fits all. This item comes beautifully presented in a black and gold embossed and faux-fur lined box.